I should post more Thai recipes from now on! 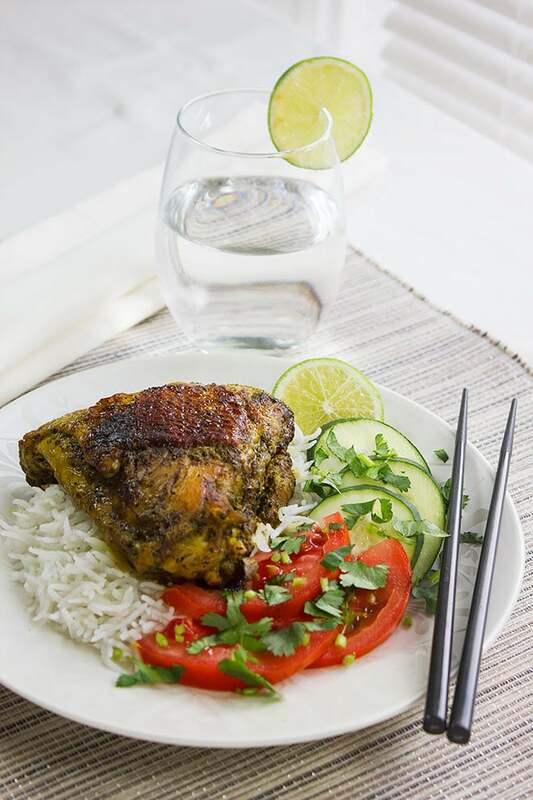 You have to try it one time to get hooked, and this Thai Turmeric Chicken is an amazing recipe coming to you form the Southern part of Thailand. The original recipe calls for fish sauce, I’m not fond of it so I didn’t include it. Feel free to add some and I guess for this recipe 2 teaspoon of fish sauce will be enough. The chicken was grilled in the authentic recipe but I shallow fried it. 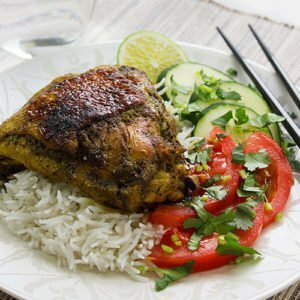 When I mixed the marinade ingredients, I couldn’t believe how wonderful was the aroma, made from simple ingredients but give you great flavor. 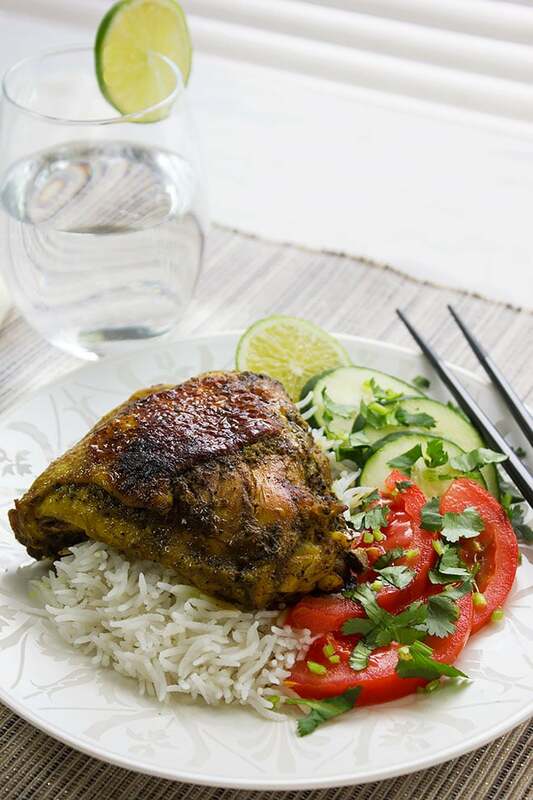 To get every bit from the marinade into the chicken, it’s best to poke the chicken all over and marinate overnight for best results. I served this dish over coconut milk rice, it was out of this world. 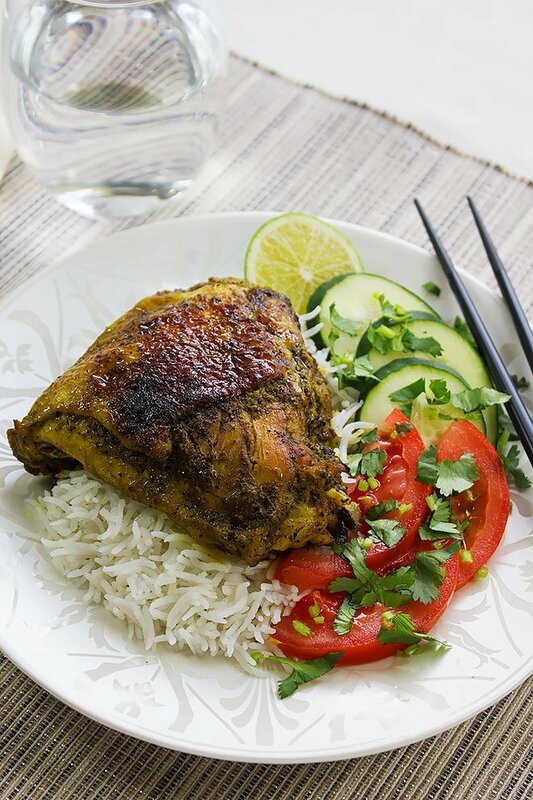 So here are your options, you can omit the fish sauce and still enjoy this juicy tender chicken, and you can bake the chicken if you want to consume less fat, but keep an eye on it so it won’t over bake and get dry. Shallow frying the chicken kept it tender and juicy, I never bake the chicken for this recipe, however, if you BBQ this Thai turmeric chicken the flavor will be intense. Now let’s get our hands busy, shall we? Place all the ingredients except the chicken and oil in a blender and blend until smooth, or use a mortar to do so. 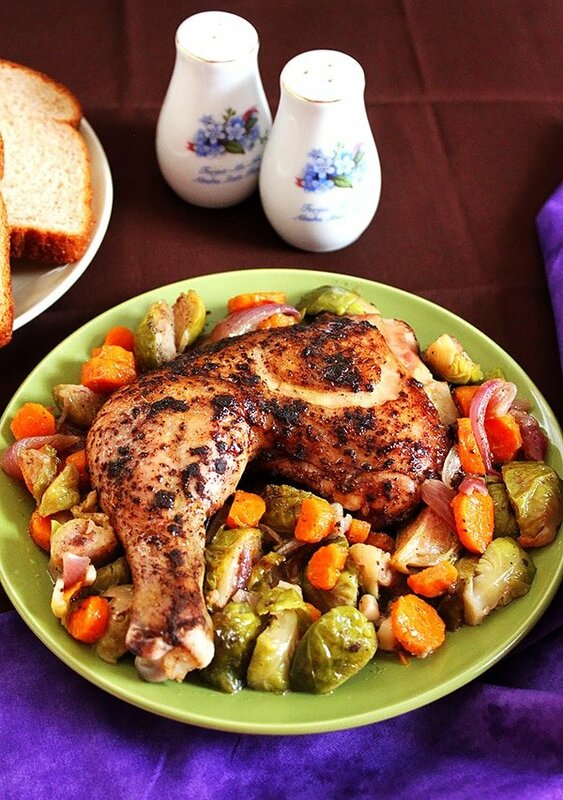 Rub the chicken with the mixture, cover and refrigerate overnight or at least for four hours. Heat a frying pan, add the oil and fry the chicken skin side first. When brown flip the chicken, after 7 minutes flip again, cover and cook for 20 minutes n medium low, flip and cook for 15 to 20 minutes on the other side or until the chicken is completely cooked. Serve with jasmine rice or plain steamed rice. 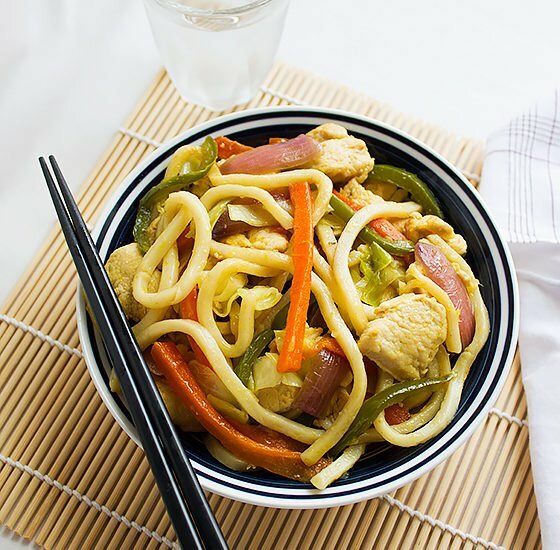 This recipe is adopted from Real Thai Recipes. Isn’t turmeric amazing? I use it almost daily in my roasted veggies and chicken. Must give your recipe a try soon. So delicious looking, Muna. I add turmeric in milk and it tastes delicious but not only that, it sometimes eliminate coughing. Your Thai Turmeric Chicken looks and sounds absolutely amazing! The plating is also super pretty! Yummers! Wow, this recipe looks really delicious! (Especially the way you’ve plated/photographed it – nicely done!) Will have to try sometime – and will also have to try your tip from the comment above, about drinking milk with tumeric when you have a cough you just can’t shake! Amazing cooking. Absolutely could dig into this, plus I love rice with chicken so. I can only imagine the aroma from the turmeric.